Trader Joe’s has introduced a new cake mix to its baking lineup recently and it’s another gluten free option! 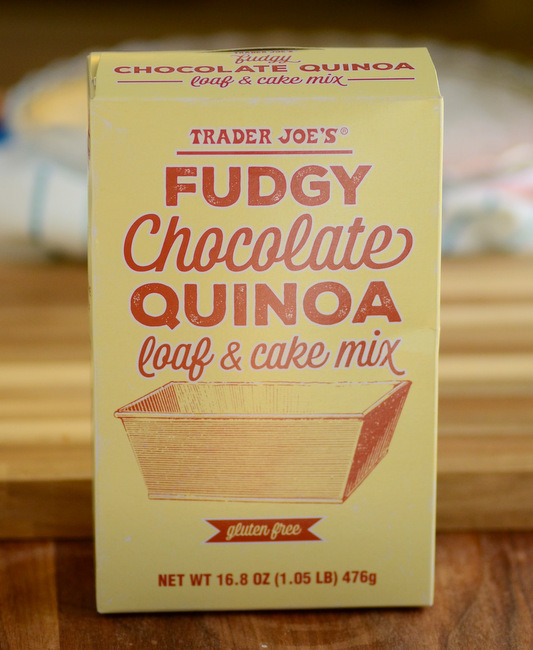 The popular grocery store chain already has a couple of gluten free choices in its repertoire and Trader Joe’s Fudgy Chocolate Quinoa Loaf & Cake Mix is a new addition to their product gluten free offerings. The mix is made with quinoa flour, a whole grain flour that is made by grinding quinoa until it is a fine powder. It contains no gluten, so it is a great choice for those who need to avoid gluten, though it can be incorporated into regular wheat flour recipes by substituting 25% or 50% of the flour. It has a bitter flavor on its own and you will notice that if you happen to taste this cake mix, even though the mix also contains a generous amount of cocoa powder to give it a deep chocolate flavor. Once baked, that bitter flavor will be gone. The mix comes together easily and is relatively liquid. You need to add 3/4 vegetable oil, 4 large eggs and 1 1/2 cups of water to the dry ingredients, along with a small packet of fudge sauce, which is included. It can be baked in a loaf pan or a bundt pan, and I opted for the loaf pan. The cake has a relatively long baking time and it must be tested with a toothpick for doneness, as I found that it was easy to underbake the loaf by a couple of minutes if you didn’t double check it. Once cooled, the cake is surprisingly light, even though it is rich with chocolate flavor. It looks like it might be a brownie at first glance, but it has a much more tender texture and is actually less sweet than most brownies are. Even with all the chocolate, you can pick up the nuttiness of the quinoa flour, which gives the cake a unique flavor. 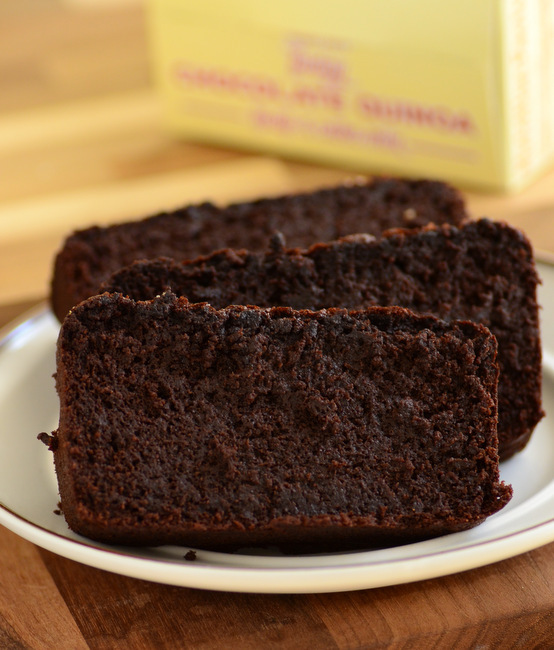 To be completely honest, I would rather stick with brownies – and yes, either gluten free brownies or regular brownies – than bake up this loaf again to get a chocolate fix. I like the dense chewiness of the brownies and felt that this loaf could have been a bit sweeter, although that could be addressed by adding a layer of frosting to the cake, even though it had plenty of chocolate flavor. Still, this is worth a try if you haven’t worked with quinoa flour before and want to test it out, or if you want an easy gluten free mix that will work well in a bundt pan, since this mix produces a cake with a good amount of height.